This week, a fascinating article was published by the Royal Canadian Geographic Society about the floe edge. Writer, Susan Nerberg, travelled with Arctic Kingdom and describes her experience on this unique adventure. Nerberg identifies the Inuit, who were guides on this grip and how their patience and knowledge, reflected in their long history of living on the land, adds insight and understanding to the trip. Something that comes from a long inspiring life in the Arctic. The floe edge is a dynamic ecosystem that is famously one of the major wildlife gathering places for marine mammals. The floe edge is the place where land-anchored ice meets the open ocean. The long days and the sun rays reach parts of the sea-ice that hasn’t been touched by the sun’s energy all winter. This creates a photosynthesis cycle that begins the amazing chain of events that bring life to the floe edge. Whales might be found swimming right up to the floe edge and even under the ice as they feed and socialize. 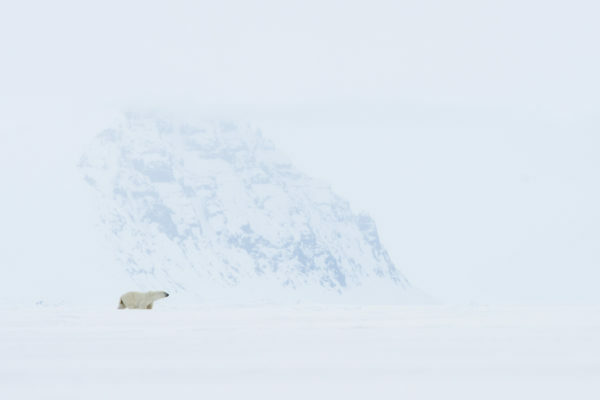 It also brings predators like polar bear to the area to hunt for their favourite meal, the seals. To say the least, the floe edge is the return of not just another season, but one of the most important seasons to everything, every animal and even every man that lives in the arctic. Nerberg captures this exciting natural wonder so well as she describes the thousands of migratory birds and scores of whales passing by as they head to their summer feeding and calving territories. She also demonstrates what the floe edge means for local Inuit, which rely on the floe edge for food and business. She describes the regulation of Total Allowable Harvest, which limits the amount of hunting each year. And what harvesting practices mean to the community and their way of life. It’s important to hear from locals like Steven Karnasak, who describes growing up around the floe edge. He describes the right-of-passage that comes from learning to hunt at the floe edge from uncles or fathers. She paints a beautiful picture of this expansive world. Where flying over the landscape before standing among it helps emphasize the scale, but also notes the fact that it is so unblemished by the scars of modern humans. There are no paved highways that line the land, just giant ice pans breaking off into icebergs. Arctic Kingdom’s camps are now set on the shoreline rather than on the ice. This offers a longer season and ensures that shifting ice does not affect the comfort of guests. We are the only tour company to offer this style of floe edge camp and we now operate in a location that we have exclusive access to. Our new location in Navy Board Inlet offers stunning mountain landscapes and is incredibly close to the famous Lancaster Sound. This is the primary corridor that migrating narwhal, beluga and even bowhead travel through each year. The floe edge is a remarkable setting for arctic wildlife. And Nerberg paints a fantastic picture of what the experience offers. A chance to connect with your local guide. Traveling through picturesque icescapes that few people have yet experienced. It is a perfect read for anyone looking for their next adventure.